Lightly marinated premium chunk light tuna. 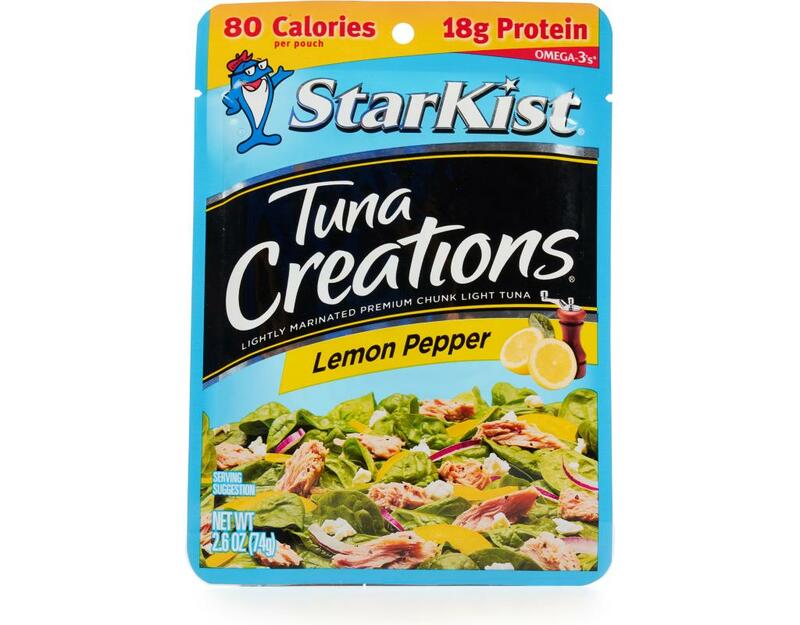 Tuna Creations Lemon Pepper adds a tangy citrus punch to meals or appetizers. 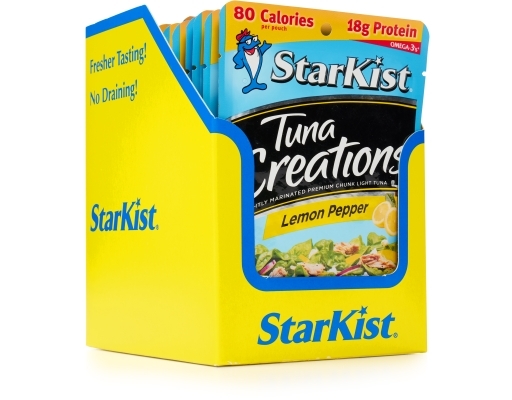 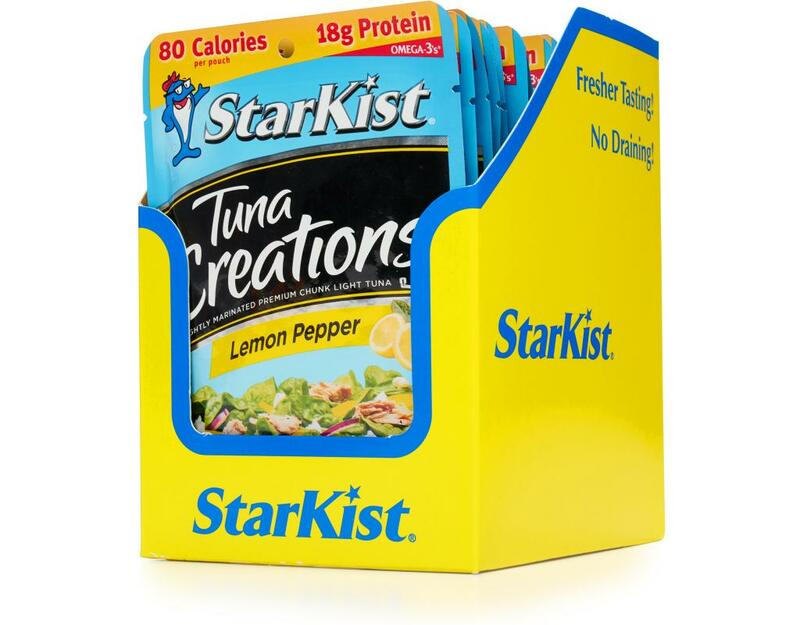 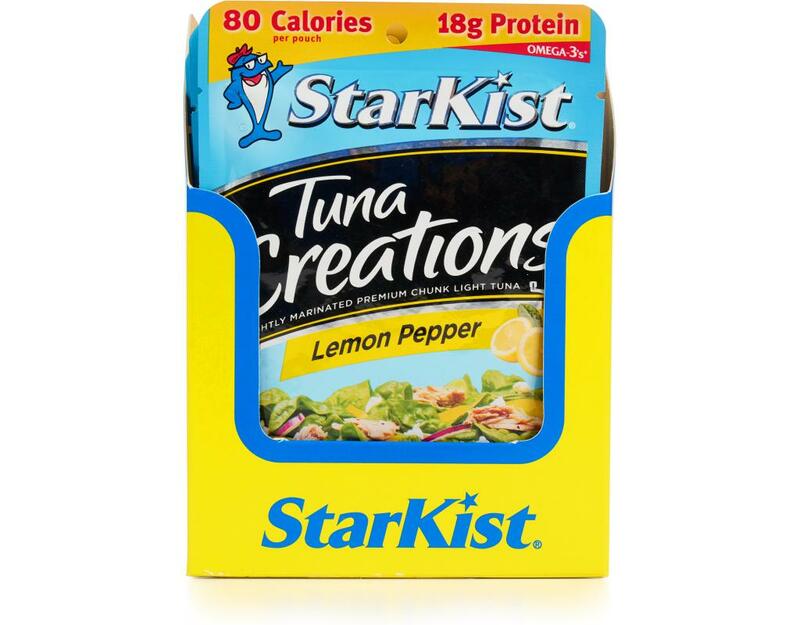 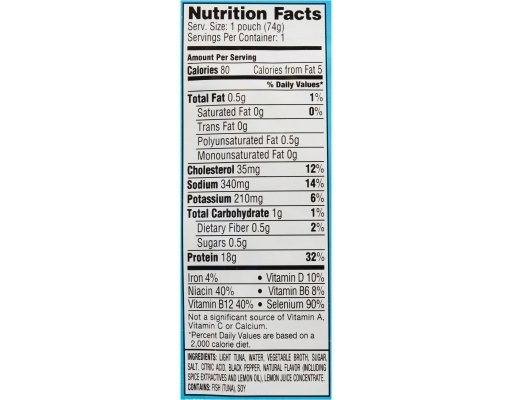 Under 100 calories, this pouch features select cuts of premium tuna seasoned with zesty lemon and black pepper flavor. 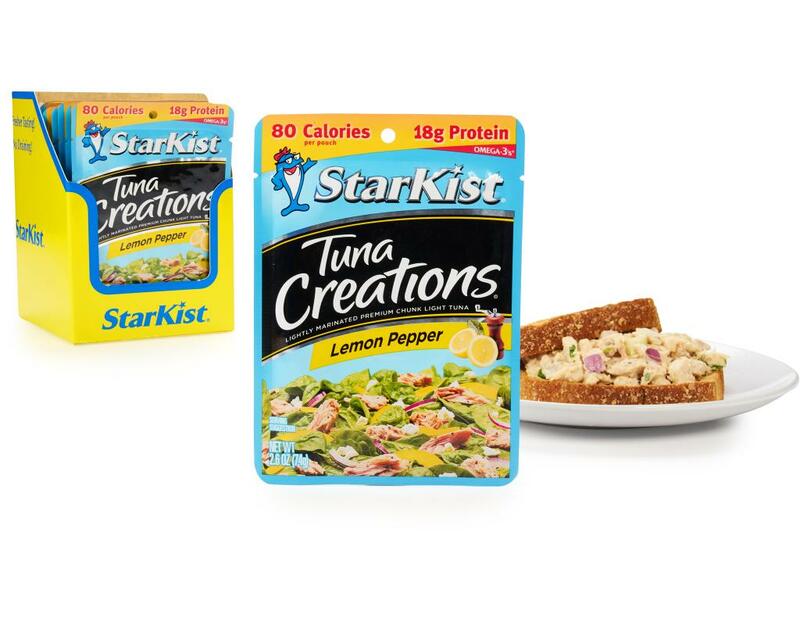 It’s perfect in pasta, salads and sandwiches – or put it on crackers for a quick snack!